The first relegation six-pointer of 2019 pits Huddersfield against Burnley at the John Smith's Stadium, with both sides needing three points to kick-start their push for survival. Huddersfield desperately need a victory to avoid being cut adrift at the bottom. Saturday's defeat at Fulham left them five points short of safety and nothing less than a victory will do for David Wagner's side. ​Burnley eased some pressure with a deserved victory over West Ham, leaving them inside the relegation zone on goal difference. A point would be enough to move them out of the bottom three if Southampton lose at Chelsea. Here's everything you need to know ahead of this crucial game. ​Huddersfield's creativity is severely hampered by the continued absence of ​Aaron Mooy, who has not been called into Australia's Asian Cup squad as he rehabilitates from his knee injury. Danny Williams and Abdelhamid Sabiri are also sidelined. Wagner's team selection will depend on what formation he opts for. Three central defenders with two wings pushing on seems most likely, as the Terriers will have to go for the win. Laurent Depoitre can expect a recall after Steve Mounie came into the side against Fulham. Burnley's team news is usually fairly routine, with Sean Dyche rarely making wholesale changes. However, he did make two key selection decisions against West Ham and both paid off, so Tom Heaton and Dwight McNeil are both likely to start again on Wednesday. Looking for goals? Maybe this isn't the game for you. 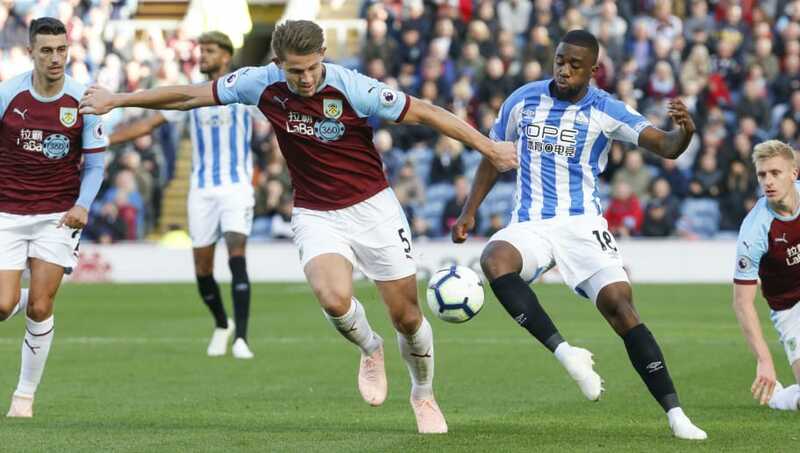 Both fixtures between these two sides finished goalless last season, and the reverse fixture at Turf Moor in October ended 1-1, with Sam Vokes and Christopher Schindler trading goals. The last four meetings between these two in the Championship were much more entertaining, with an average of nearly four goals per game. The best of the bunch came almost exactly five years ago, when Danny Ings scored twice in a 3-2 win for Burnley on New Year's Day 2014. Huddersfield's fortunes looked to be on the turn in November as they took seven points from three matches, but December was disastrous, with seven consecutive defeats. Worst of all, three of those defeats came against teams around them in the table - teams against whom they must pick up points. But the Terriers lost to Newcastle, Southampton and Fulham, and chances are running out to take points off their relegation rivals. Apart from the mauling they received against Everton on Boxing Day, Burnley have been improving lately. Their five-game form guide is bookended by victories over Brighton and West Ham, but even those matches in-between offered hope of a resurgence in form. The Clarets pushed Tottenham all the way to the last minute before Christian Eriksen's winner, and they gave a good account of themselves against Arsenal, with Sean Dyche feeling that several crucial decisions went against his team. Here's how each team has fared in their last five games. It may be too early to start talking about must-win games, but that's what this feels like for Huddersfield. Burnley are one of only two teams in the Premier League bottom half which are yet to visit the John Smith's Stadium this season, so it's not going to get any easier. The two changes Dyche made against West Ham could be a turning point for Burnley's season. Heaton's relationship with his defenders should bring back some defensive solidity, and McNeil is a really exciting young talent who could offer something different in the second half of the campaign. The writing seems to be on the wall for Huddersfield. Lose here, and they can probably start planning for the Championship.